oh the bag is cool - it IS big!! I am in the middle of a big-ish project and still have 2 small ones left to do...clocks a'tickin! Good luck on all of yours!! 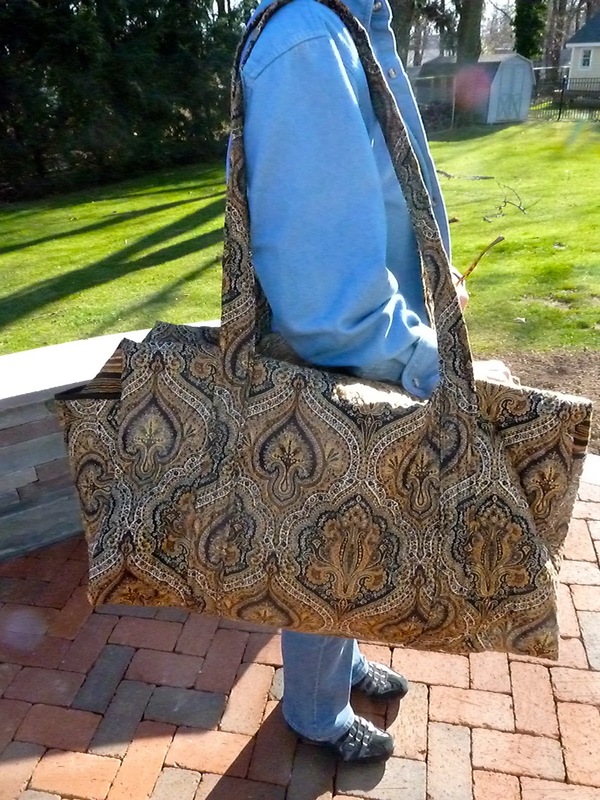 Isn't it great when you can't wait to give something you have made - that is a great bag! Wow, that is on HUGE bag!! Way to go, making so many gifts this year. I have a few too that I haven't blogged about yet! Also looking forward to see how that new Swoon comes together. It's looking great so far.